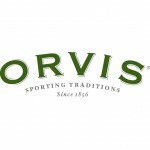 The Orvis Company Inc is a company operating in the United Stated and the United Kingdom. The company offers products related to clothing, home furnishings, and gifts. Some of its products include pants and shorts, shirts, skirts, sweaters and sweatshirts, fleece, accessories, hats, footwear, watches, blouses and tops, sleepwear and slippers, outerwear, gifts, adventure-ready clothing and sport coats, footwear, leather gifts and accessories, travel wear, luggage, and shoes and boots, as well as sunglasses, optics, and magnifiers. The company also retails dog products such as dog toys, beds, apparel products, collars and leads, gates and crates etc. There are currently 0 consumer reviews about The Orvis Company, Inc. available. Share your review. Please take a note that you are about to post a public review about The Orvis Company, Inc. corporate office on CorporateOffice.com. This review will be public, so please do not post any of your personal information on this website. If you would like to contact the corporate offices of The Orvis Company, Inc., please use their contact information such as their phone number, website, and address listed above to contact them. However, sometimes staff from The Orvis Company, Inc. headquarters do read the reviews on this website.